A two-story, 5 bedroom 5.5 bath luxury penthouse with 2 Gulf front Master Suites. Walk directly to the pool and beach from your first floor patio. Both levels offer extraordinary gulf views through floor-to-ceiling windows and sliding glass doors. Features include a living and dining area on each floor, tiled flooring with carpeting only in bedrooms, private detached garage plus 2 deeded parking spaces. The kitchen features granite countertops and backsplash, breakfast bar and stainless steel appliances. Both Master Suites boast separate showers, jetted tubs, double vanities and walk in closets. 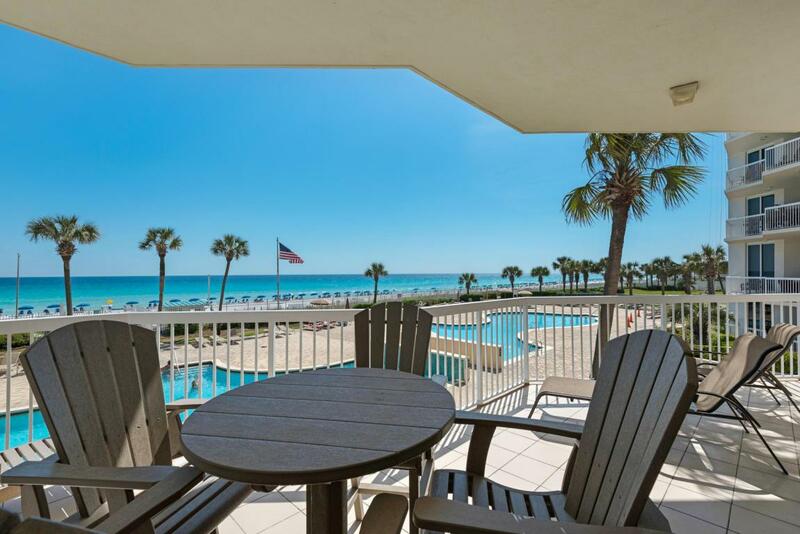 Silver Beach Towers offers over 600 feet of sugar white sands, 2 Gulf side pools, 2 hot tubs, BBQ Grilling area, tennis courts and is centrally located close to dining, shopping and entertainment.